Who is for some adventure in an abandoned town full of unknown forces? If you feel like that's what you would do, try this new release. Mystery Trackers: Raincliff Collector's Edition offers a nice journey in search of the missing people and also of the answers to some mysterious events. As someone wise said - little by little one walks far, you unroll the story behind the events. The game doesn't tell you much from the very beginning, so you won't know more than what you can read in the short preview. The bus with some people in it is gone missing while going through a town of Raincliff. That's it. That's where you start the game. You find yourself in this weird town. As someone wise said - little by little one walks far, you unroll the story behind the events. You will have to investigate all the corvers of the town in order to get the full picture of what's going on. So that is a nice feature that keeps you interested and I'm not going to spoil it all for those who are going to play it. 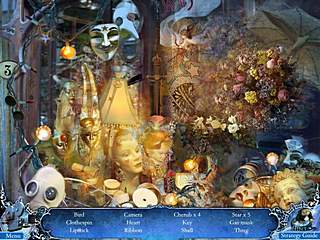 The game has the good old set of ingredients - a little bit of hidden object scenes, a little bit of going back and forth interacting with items and characters, a little bit of brain teasers. All of that is wrapped up in very beautiful graphics and a nice soundtrack. As for me, all that deserves 6 stars. One thing that I should say about the graphics is that there are some animated parts creating a more real atmosphere. The people over there are not just drawn, but they are like real people as if you were watching a movie. They move and do some things, so that is kind of neat. 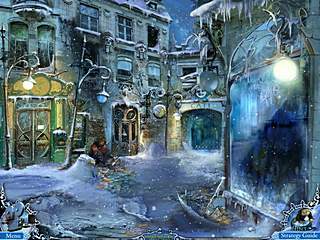 The hidden scenes are full of things, but they do not look overclattered with items that do not belong. The mini-games are quite smart. And the adventure part will have you going back and forth in search of items to help you proceed. There are three modes in the game growing in their level of difficulty. I would say that the game is design for those who want to dive deep down for several hours in the atmosphere of a different world, problems, and achievments. As for me, all that this game offers deserve 6 stars. I think this web site holds some real fatatsnic information for everyone . Nothing surely is so disgraceful to society and to individuals as unmeaning wastefulness. by Count Benjamin Thompson Rumford. 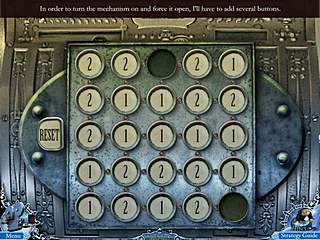 This is Mystery Trackers: Raincliff CE for Mac review. Download this game here.